We are in the middle of hot Utah summer here. My boys love to swim out our inflatable pool. Some of these activities probably won’t work so great once cooler weather kicks in. That will call for another post another day. 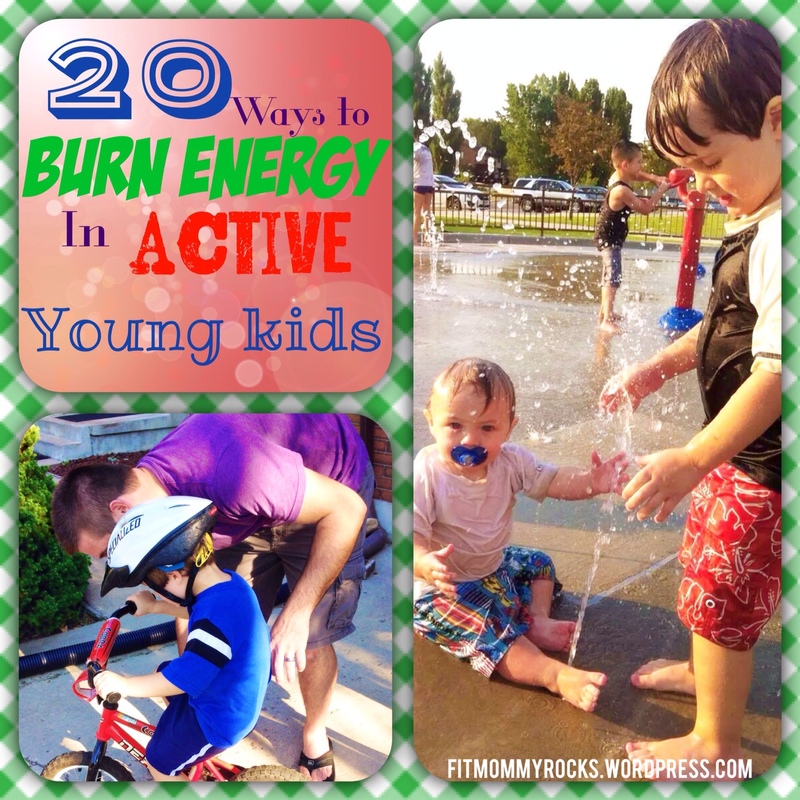 Until then I hope you enjoy the list of 20 ways to BURN ENERGY in active YOUNG KIDS! 2. Run through the sprinklers- Put kids in swim suits, turn on the sprinkler and let them run around and burn their energy! 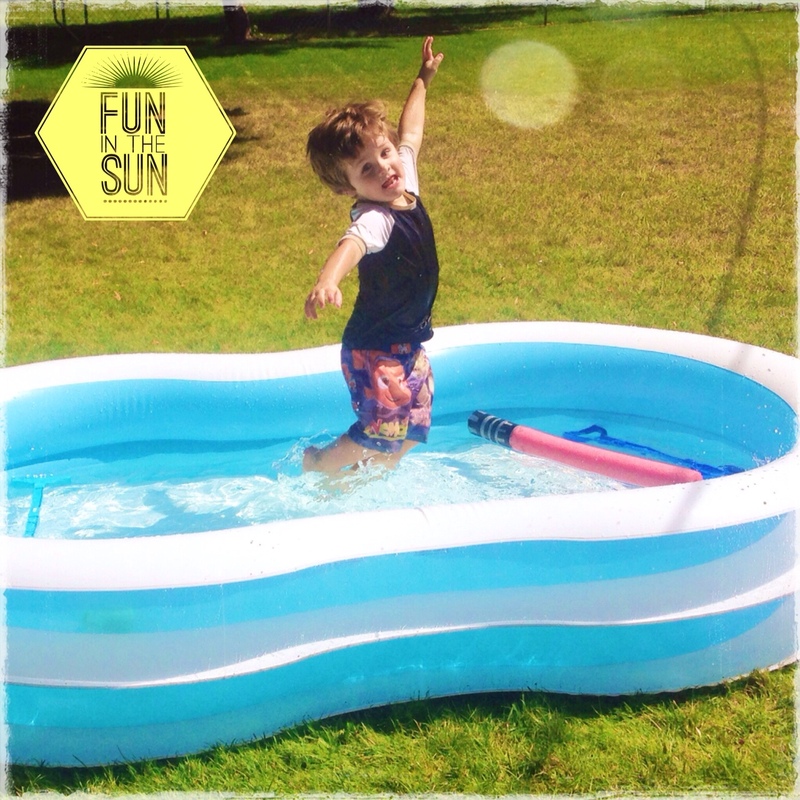 3- Fill up inflatable pool- both of my boys could play in the pool all day. Both of my boys are old enough I don’t need to get in any more. I put the pool close to some shade, grab a chair and a cold drink and watch them have fun! 6. 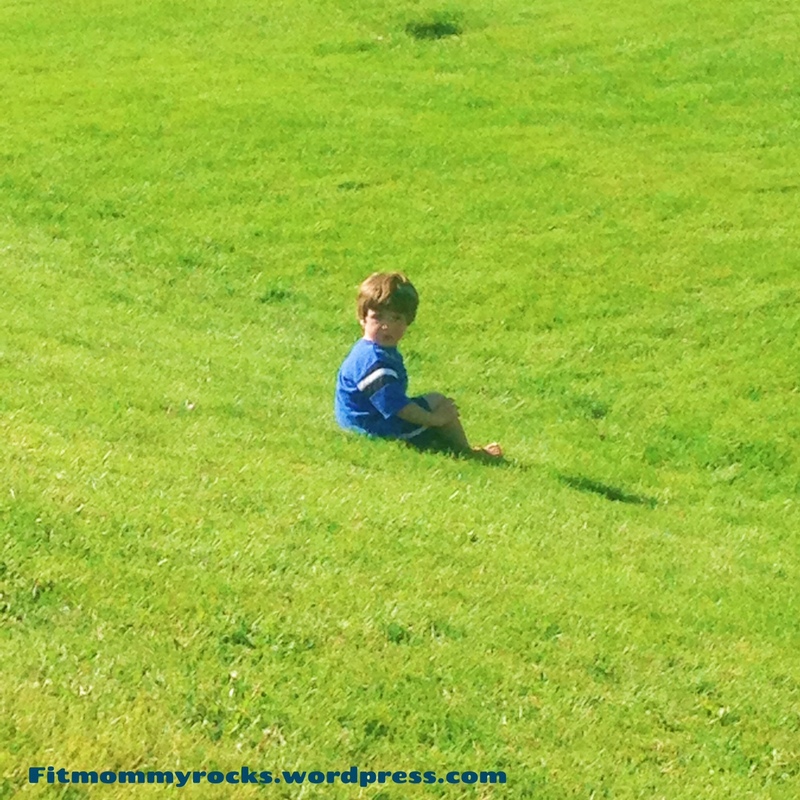 Play at a Big Grass Field- I feel like I’m always telling my boys to “stay close” and “don’t run off”. They always love it when we go to a big grassy field and I let them run around free! Then when they wear themselves out they might actually sit for a little bit. 8. Play at a park/Playground- I like parks that have swings so I can swing my 1 year old and let the 3 year old climb and slide. Both of my boys love to play at the park and they get some good exercise using their muscles climbing all over the playground. 9. Color with sidewalk chalk- This is fun and can turn into an educational experience too. 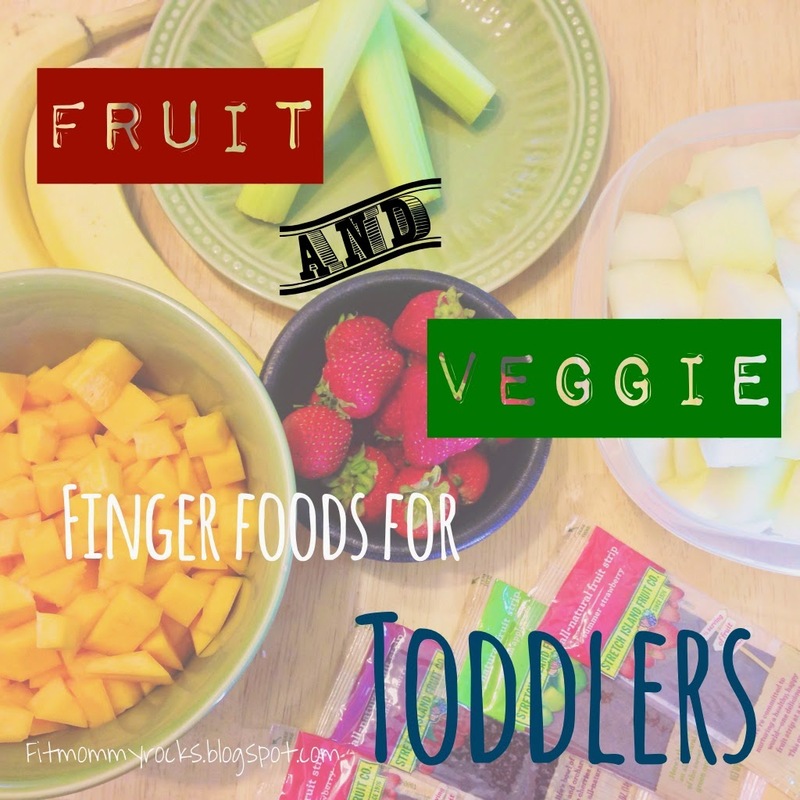 You can have your child lay down and trace them, help them learn to count as you write the numbers (or if they are old enough to write the numbers themselves), or learn the alphabet or colors. Its always fun to see their imagination and creations they make with chalk. 10. 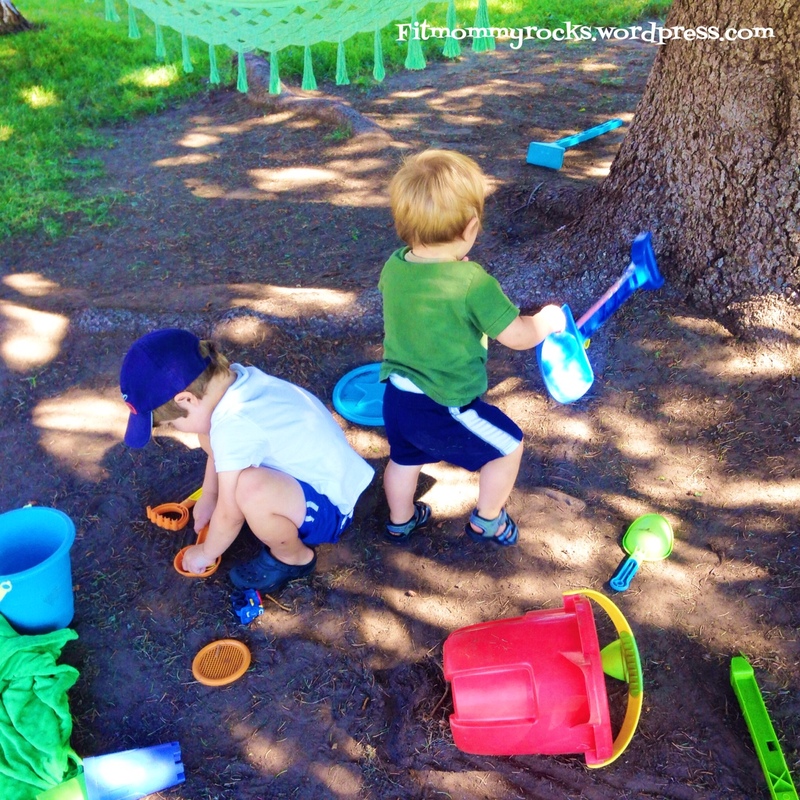 Visit a splash pad- When splash pads are open they are awesome! It’s free– they get worn out in the sun– and most of the time my boys fall asleep on the way home. 11. Blow bubbles- My 3 year old loves to blow the bubbles and my 1 year old loves to chase them. I end up blowing bubbles too and they both chase them. Bubbles are a summer staple at our house. 12. Let them climb- Sometimes (with supervision) I just let them climb– climb trees or rocks–There are some rocks by a duck pond that we go to that I let them climb on. 13. Paint- We have some watercolor paint and sit outside and let my 3 year paint. He loves it. He would paint everyday if he could. 14. Visit a children’s museum- We have a Children’s Tree house Museum by us that both boys love. That have an awesome schedule. Well worth the membership. Also, it’s a great activity to get out of the house, but out of the heat as well. 15. Teach your child to ride a bike- We are still working on this one. Once he gets it down then he can ride while we go on walks. So far this has been a really fun activity for our 3 year old. 16. Bake/Cook – Let them help bake or cook something with you. My 3 year old loves to help cook. He loves to stir noodles, mix whatever I am mixing and most of the time help eat it. 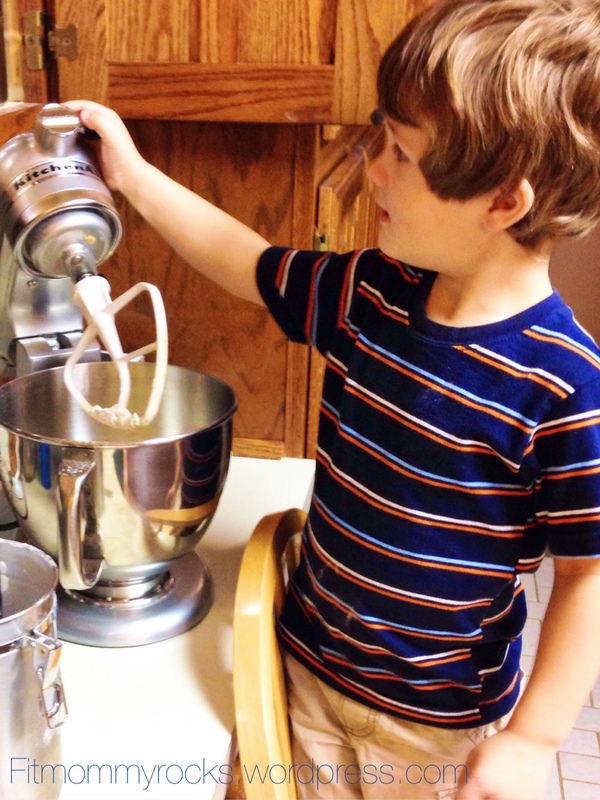 We always have fun baking with my little guys. Just keep in mind to be patient and it will probably take a lot longer to make whatever you are making. 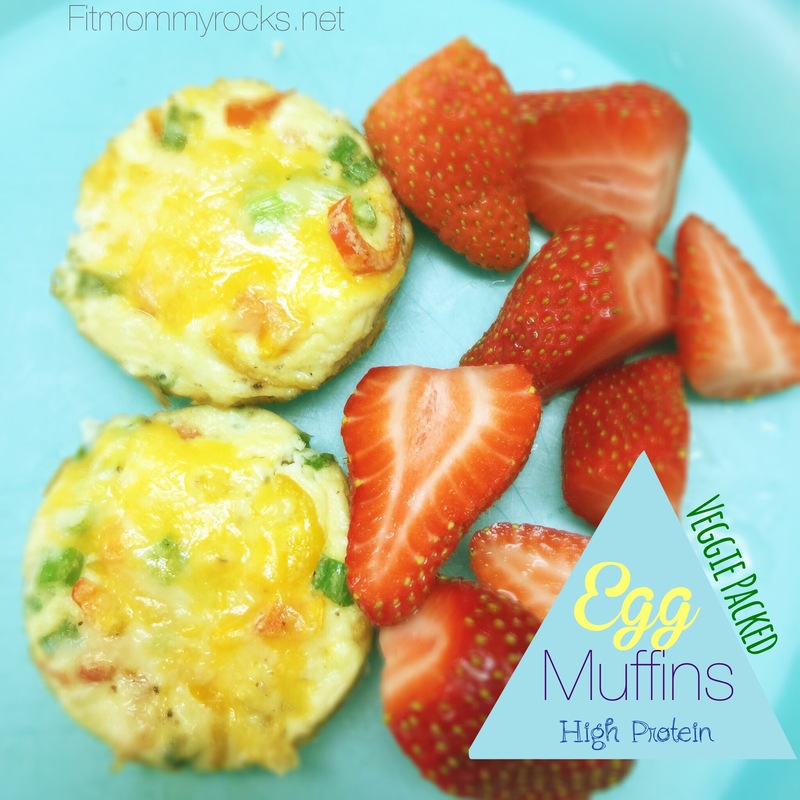 Check THIS out if you want other ideas to let kids help you in the kitchen. 17. Wrestle- My boys love to wrestle. They usually do this with their dad, but I make sure to get some fun wrestling in. Kids love getting quality time with their parents. 18. Jump On the Trampoline- We purchased a trampoline with the enclosure last year and we sure love it. We are on it everyday. We sure miss it when the winter months come. Both boys have improved their jumping skills quite a bit and you bet it burns energy. I love having the enclosure on there too, it has saved my boys hundreds of times. 19. Play catch- This is something both boys love. I think we play catch daily– inside–outside.. on the trampoline– wherever. They love it! 20. 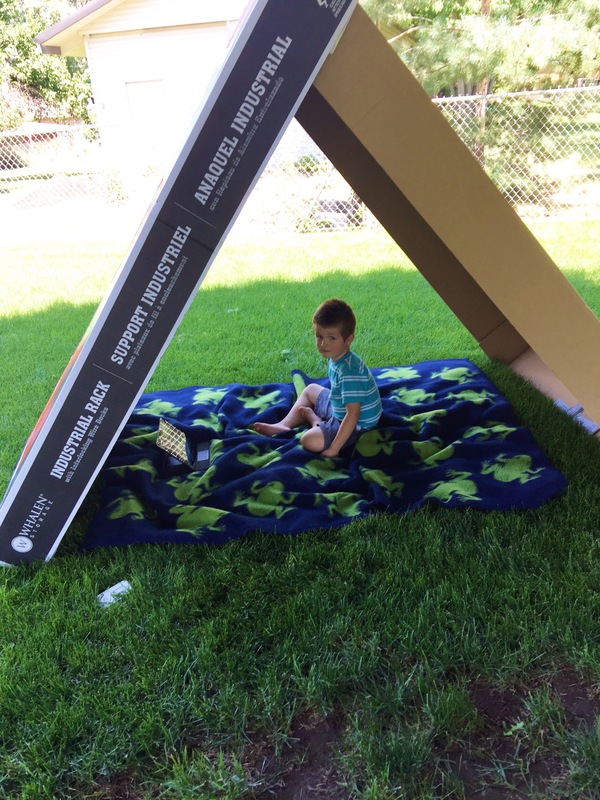 Build a fort- Kids love forts. Once we build a fort my boys love to get a flashlight and hang out in the fort. Sometimes we read books or watch a movie with a snack in out fort. It ends up being a lot of fun. Hours can be spent in a fort. We use blankets inside or sometimes we have big cardboard boxes we build a fort out of them. We recently had some huge flat boxes from some shelving we purchased and had to build a fort. We laid a blanket inside and had snacks. We took our iPad out at watched a show. We spent a couple hours inside out cool “tent fort”. 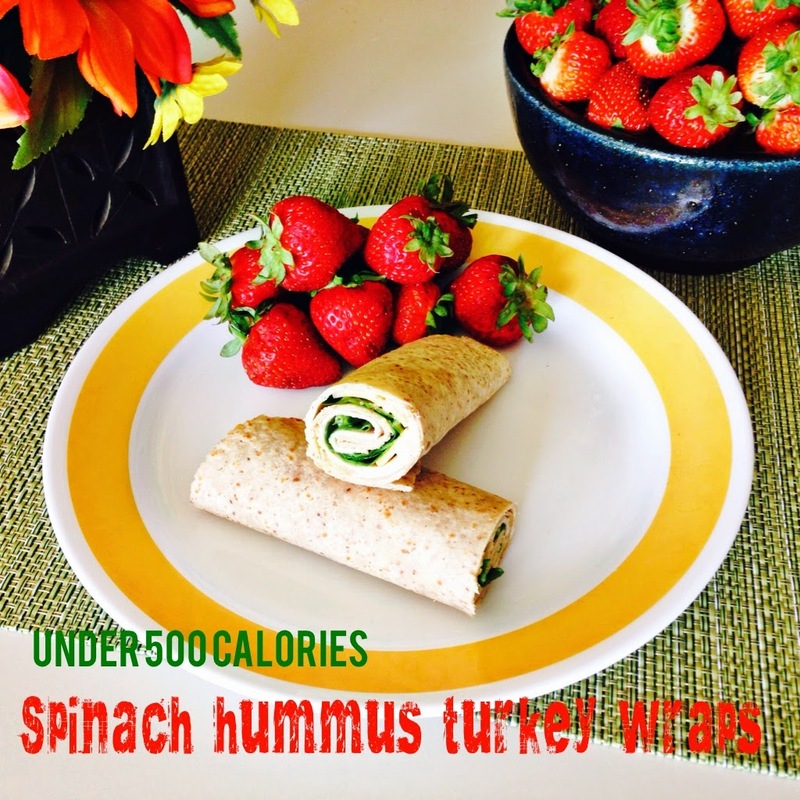 I hope this list helps you with those days that you just need an idea to burn some energy in those little busy bodies. 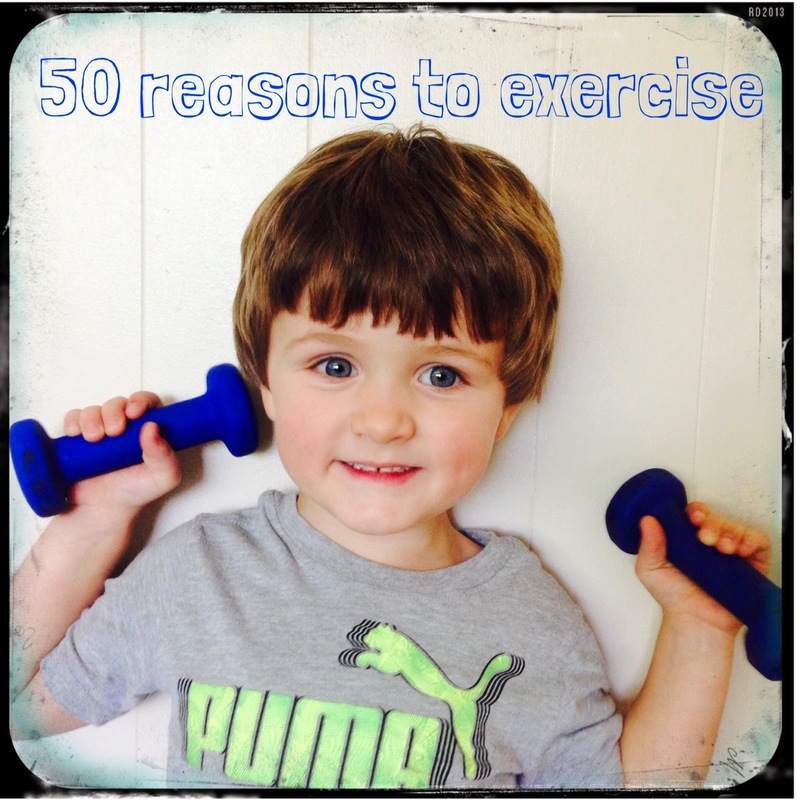 What do you do to help burn energy in your young kids? Please comment and share your ideas. 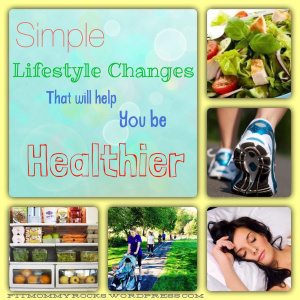 Simple Lifestyle Changes to be a Healthier You!